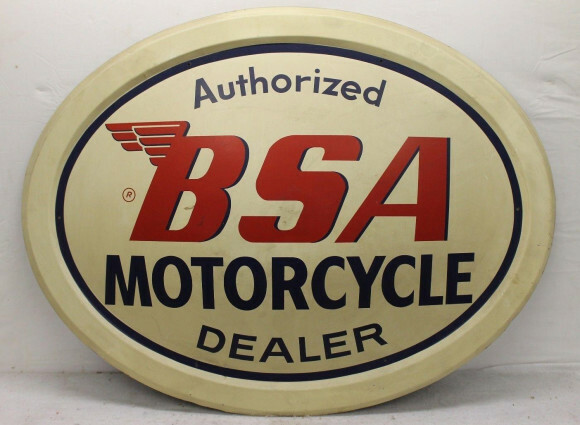 The Authorized BSA Motorcycle Dealer sign is an oval with a tan background and blue and red text. The “B” in the word BSA has wings that run off to the left. Make sure this sign is real by finding the Registered symbol to the left of the “B”. This sign is 31″ by 40″.